The purpose of Hydro Canals is to create a non-restrictive passageway for water to get to a hydroelectric station some great distance away. The purpose of lining the passageway is to greatly increase the green-usage of the available water by reducing the seepage of the water through the canal walls as it is traveling towards its destination. 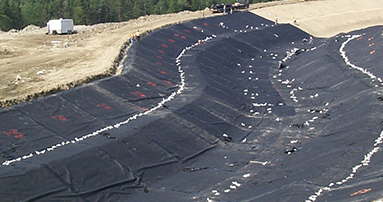 With the installation of a liner system, the water can easily be retained and directed to where it needs to go.